This handmade green fused glass platter is a beauty! 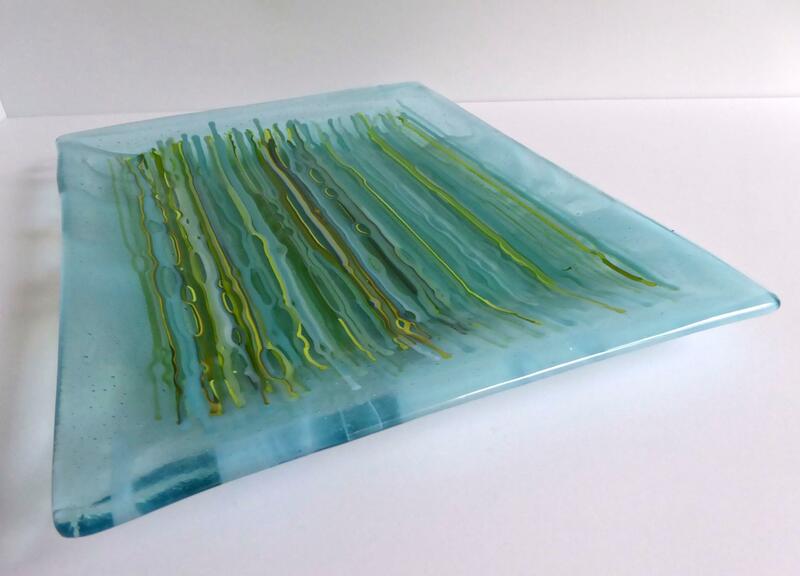 Made from a base of streaky aqua glass topped by glass stringers in shades of aqua, blue and green. 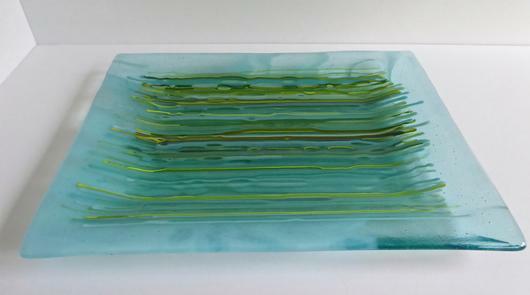 It measures 11.5" by 9". 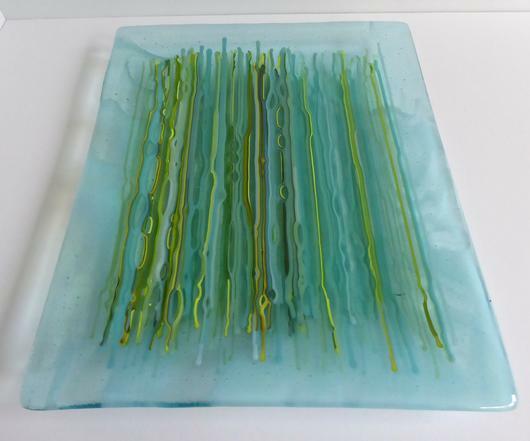 It would make a lovely add to your beach side table or coastal home decor. 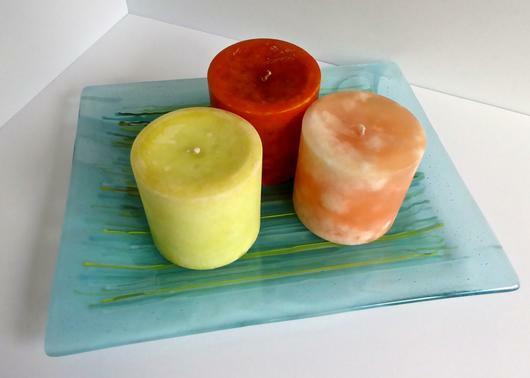 This tray can be used as a lovely serving platter, centerpiece, candle tray (candles shown are 3" in diameter) or simply as a wonderful item to decorate your home or office. Food safe.